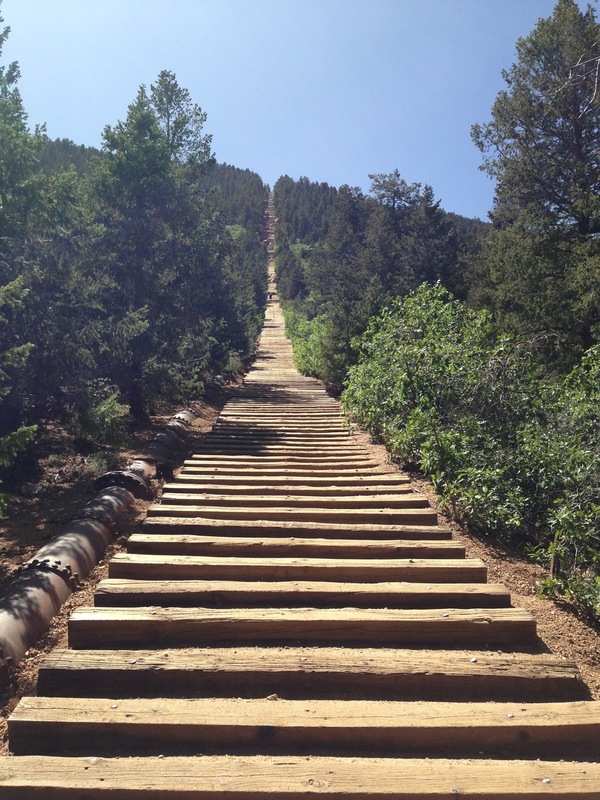 I was fortunate enough to be in Colorado for work and decided I needed to give this long outdoor stair climb a try. I have seen a few pictures and it looked interesting. It is only .90 of a mile so I figured it can't be that tough. 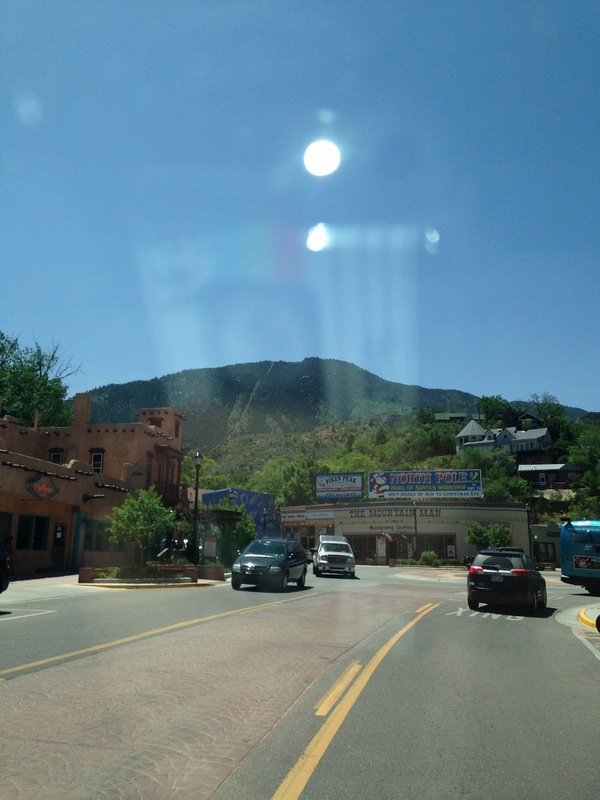 I drove down to Colorado Springs then turned up the canyon to the small town of Manitou Springs. I drove through the quaint little downtown ice cream shops and gift shops wondering how I was going to find this place. I turned a corner and saw this crazy straight line up the gigantic mountain face and I said to myself "you have got to be kidding me!" 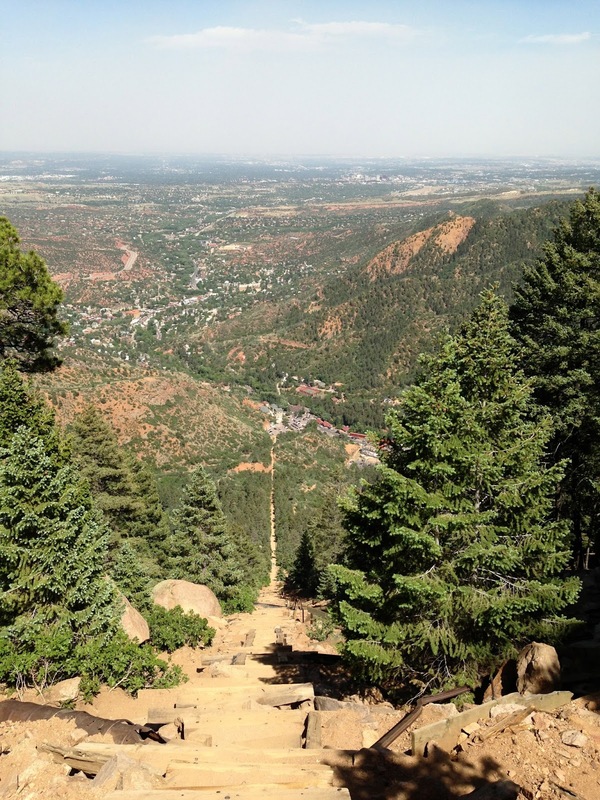 I made my way up and found that there is a very nice train station that takes tourists up to Pike's peak. It was packed with tourist. I pulled up to the small parking lot and as I parked my car I noticed the hot 100 degree temperature....This was going to be interesting. From the bottom of the trail it is an impressive sight with rail road ties in a straight line up the face of the mountain. I turned on my Nike Running app with the timer and music and hit the trail. As I ran up it was so unique and beautiful that I had to stop myself from taking too many pictures. I passed this fit man in his 70's running down the stairs and I thought if he was not that tired I should be fine. The average grade of this climb is 40% and over the mile climb you raise up 2000 ft in elevation. 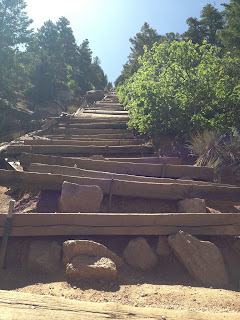 It is difficult to show in pictures just how steep it gets at the steepest part 3/4 of the way up. The railroad ties can become difficult to climb and falling backwards would be very dangerous. 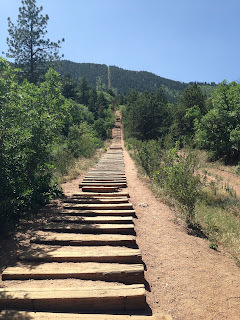 There is a 3.5 mile trail down that at one point comes really close to the Incline and people who need it will bail out there. 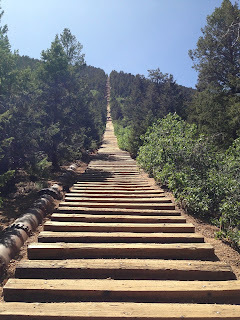 Once you climb the steepest part you think you are at the top....but you aren't. 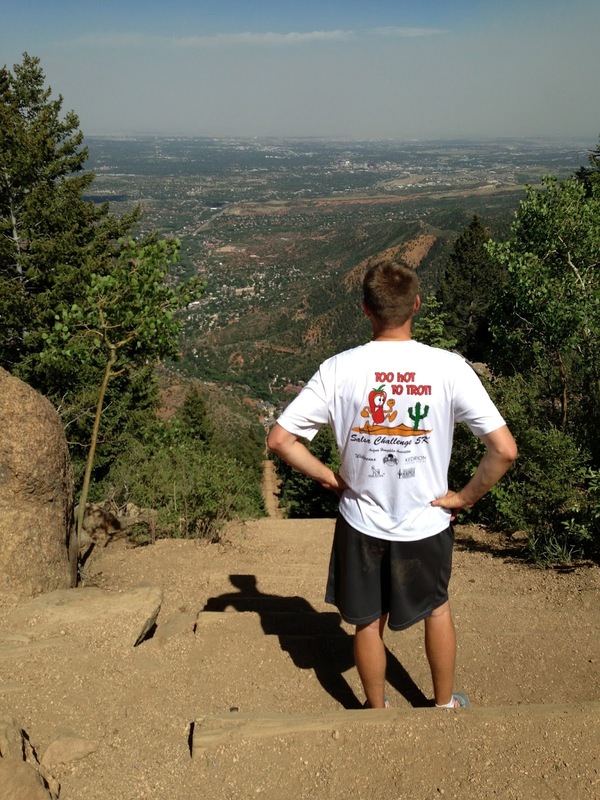 There is one more stretch to climb before reaching the top. The view from the top is breathtaking. This was the day the fires started so I could see them from the top and they only grew as I drove back to Denver. This is the hardest workout I have ever done in my life, but also one of the most enjoyable. 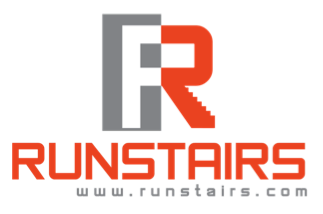 Running stairs in building are very monotonous, White walls, metal stairs, turn, turn turn. Then at the top you typically don't have a view. This hike was beautiful the whole time and the air was so fresh. Well worth the trip and the effort if you are ever in Colorado.